It is holiday party time at the daycare again. Time to conjure up a colorful and exciting cupcake design for the 3 year olds. I scoured the internet for inspiration and added a bit of my own creativity (and pretty much winged it)…and voila. 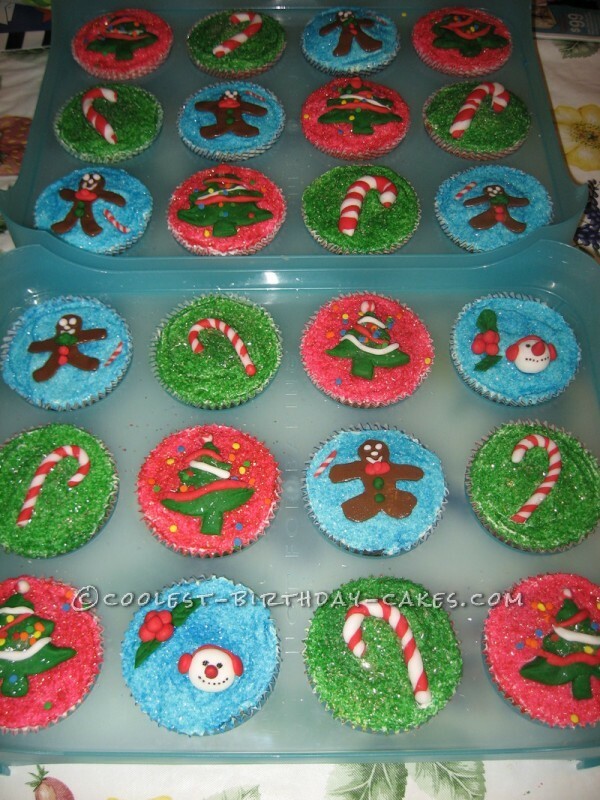 Sparkly cupcakes with a variety of fun holiday decorations. Most of the designs were hand crafted from fondant I dyed with icing colors. 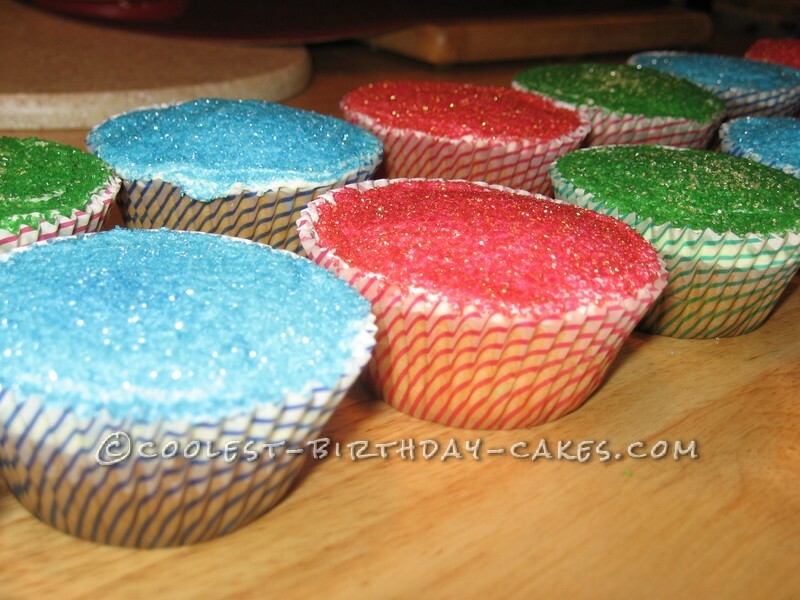 The cupcake papers coordinate with the 3 different sanding sugars. I also dusted them with some “snow” sanding sugar at the end for extra sparkle. 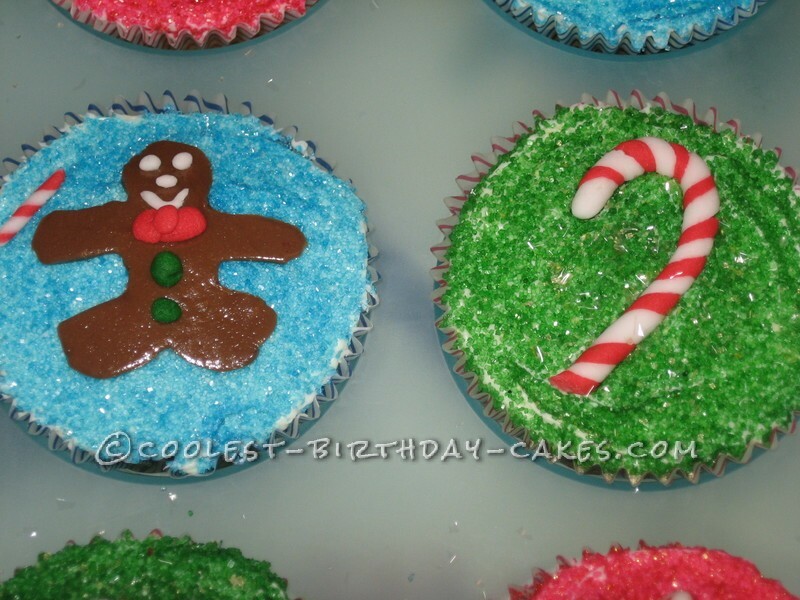 The gingerbread men are molded from tootsie rolls and decorated with fondant. 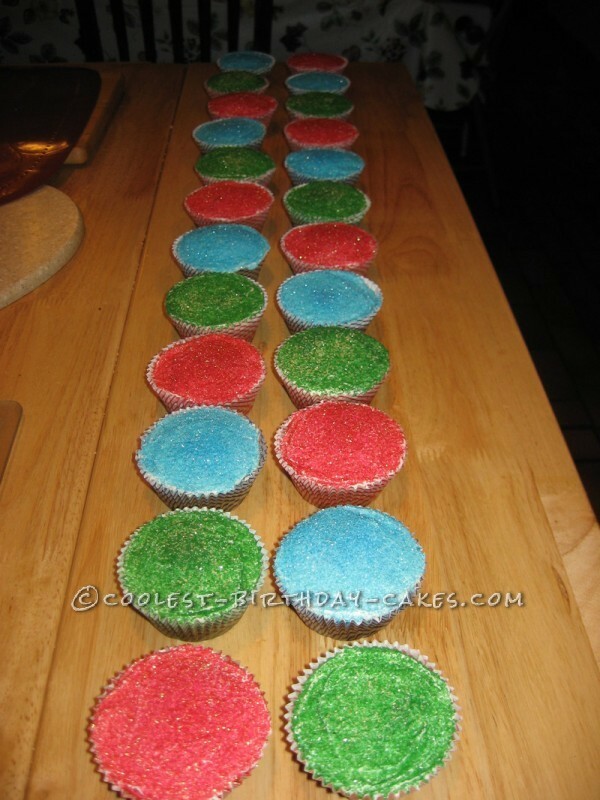 For extra color (as if there isn’t enough), the cupcakes are white cake with multicolored sprinkles. 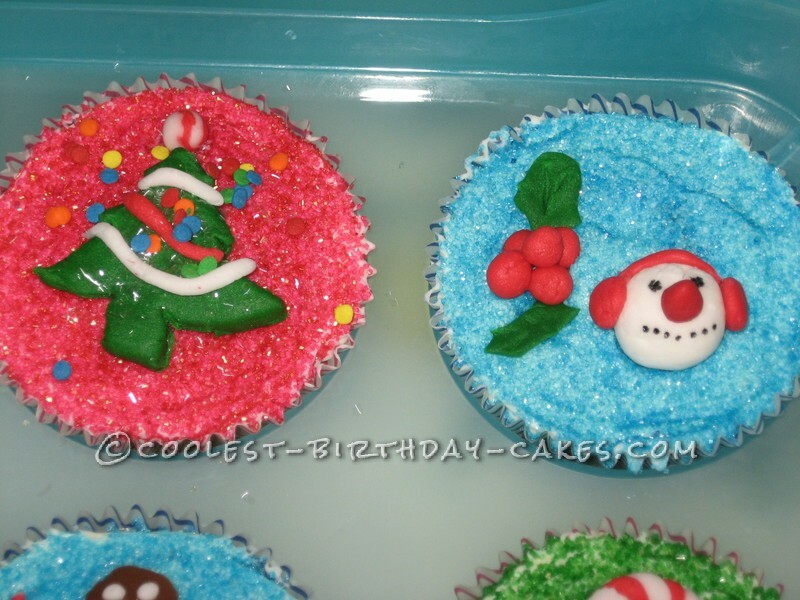 I was happy with the end result and I hope these cupcakes will make the kids smile. I tested them on my son before adding the decorations and he gave me an “Ooooh sparkly!” and “Sooo pretty.” Mission accomplished.